I’m so excited to share my last contribution for the 2017 Holiday Stashdown CAL! If you are not familiar with the Holiday Stashdown CAL, you can find more information about it here! This easy Oatmeal Cookie Headband Earwarmer is the perfect winter accessory! It is stylish and very cozy. It is the perfect compliment to my Oatmeal Cookie Cowl. If you use your yarn wisely, you can squeeze both patterns out of one Caron Sprinkle Cake! I hope you enjoy the pattern. Just scroll down below for the instructions 🙂 Happy Crocheting! Don’t forget! For every completed Holiday Stashdown CAL Project you share HERE through January 8, 2018 (11:59pm ET), you will earn one entry for the giveaway at the end of the CAL! Learn more about the prizes and how to enter the giveaway HERE. Also, don’t forget to share your project photos with us using the hashtag #CALCentralCrochet. Feel free to tag me on Instagram @thestitchinmommy and share your photos on Facebook! Turn your work so that you will be working into the sides of the rows. Evenly sc 51 sts across, join in beginning sc with a sl st. You will now be working in the round. Using the long tail from the Ribbing section and a yarn needle, whip stitch the ribbing closed. Turn your work so that you will be working into the sides of the rows. Evenly sc 53 sts across, join in beginning sc with a sl st. You will now be working in the round. Turn your work so that you will be working into the sides of the rows. Evenly sc 56 sts across, join in beginning sc with a sl st. You will now be working in the round. Bring the ends of bow together so that the beginning of the rows meet the end of the rows. Using the yarn tail and yarn needle, whip stitch the ends together. Pinch the center of the bow and wrap the yarn tail around 5-6 times to cinch the center. Using the remainder of the yarn tail, sew onto the headband. « 2017 Black Friday Deals! 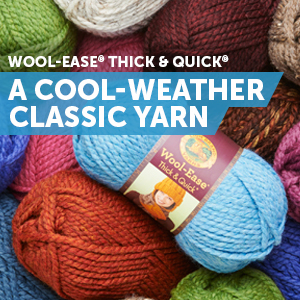 Will one Sprinkle Cakes skein make the headband and cowl or would that require two skeins?